Aikwood Tower, a grade A-listed traditional Border Peel Tower, abounds with 500 years of history and medieval castle charm. It has been sensitively restored and renovated in a sumptuous twenty-first century style to create a warm and welcoming home from home. A place where you can bring together family and friends of all ages for adventures, romance and celebration. We pride ourselves on providing thoughtful Scottish hospitality at its best. Our passionate and hard-working team ensures that every guest expectation is exceeded, leaving you with nothing to worry about other than relaxing and making amazing memories. Located in the heart of the Scottish Borders, the hidden gem of Scotland, Aikwood Tower is just over an hour’s drive south of Edinburgh and north of the border with England. Its position surrounded by the rolling hills, woodland trails and rivers of the Ettrick and Yarrow Valleys is perfectly placed for unique holidays and short breaks of all kinds. The stunning local landscape around Aikwood Tower offers some of the finest walking, cycling, shooting, fishing and horse riding in Scotland, among many other leisure activities. No matter your age or adventure criteria, or whether it’s by foot, pedal or horseback you’ll be out and about, soaking up the fresh air and exploring this breathtaking part of the world. Whatever the reason for your stay, Aikwood Tower will always have a very special place in your heart. But there’s no better place to celebrate an intimate wedding or special anniversary. The perfect marriage of ancient and modern, Aikwood Tower offers a unique Scottish castle wedding experience for up to sixty guests. Without a doubt, Aikwood Tower offers some of the best luxury self-catered accommodation in Scotland for ten guests. Our 500 year old history combines with five-star interiors and contemporary boutique accommodation to surprise and charm you in every room. And you will find your new favourite place in the world in front of our roaring Great Hall fire. The Scottish Borders has some of the richest and most dramatic history in the whole of Scotland. Discover turbulent tales of the Border Reivers, journey through the ancient hunting grounds and houses of Scottish royalty. Immerse yourself in the literature of Walter Scott and James Hogg and trace your own family connections to the area. 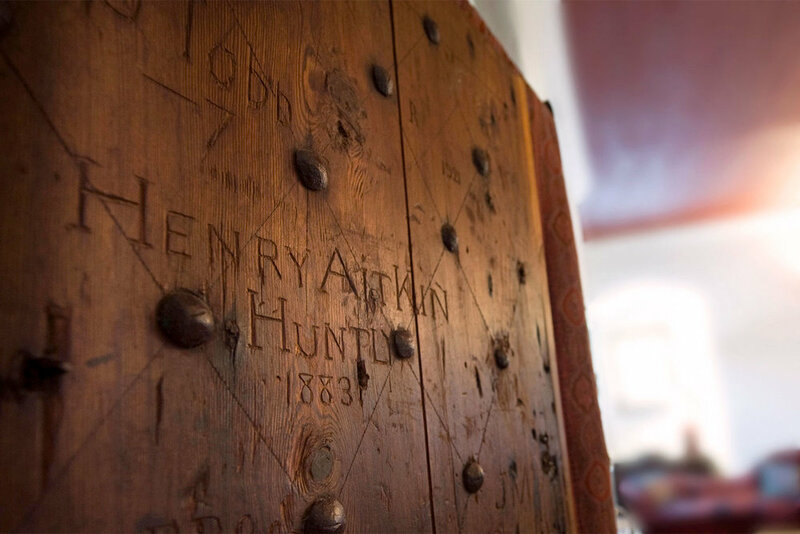 Or just soak up the fantastic history of Aikwood Tower, the 500-year-old walls have many stories to tell! A fabulous castle in a hidden corner of Scotland with all the luxuries one could wish for after a day exploring the delightful countryside. Are you still looking for your Easter get-away? With Easter falling late this year, doesn’t it feel like we’ve been on the work treadmill for far too long and everyone is in need of a Spring break?! There’s still time to book a special weekend away – we have the Easter weekend available with 10% off – now £2,050. And today the sun is out and Spring is definitely in our step! Daffodils and crocuses are lining the drive and beautifully dressing the orchard, the resident pheasant family are strutting their stuff round the gardens and the first lambs are settling into the nearby fields. We’re busy putting the final touches to our holiday itineraries for guests so if you’re looking for things to do, here’s our suggestion for 5 things to do in the Scottish Borders this Easter! FEELING THE NEED FOR A SPRING BREAK? As last week’s flurry of snow and polar vortex ice thaws, we’re all longing for brighter days and the return of colour to the garden. Snowdrops are already lining the Aikwood drive and the crocuses and daffodils won’t be far behind. Our resident pheasant family are strutting their stuff round the gardens and it won't be long until we start to see the first lambs in the nearby fields. Spring is round the corner! We're busy putting the final touches to our 2019 holiday itineraries for guests. So if you’re looking for some inspiration on what to do in the Scottish Borders during the school holidays and fancy a mid-week break to freshen the batteries, here are a few highlights. 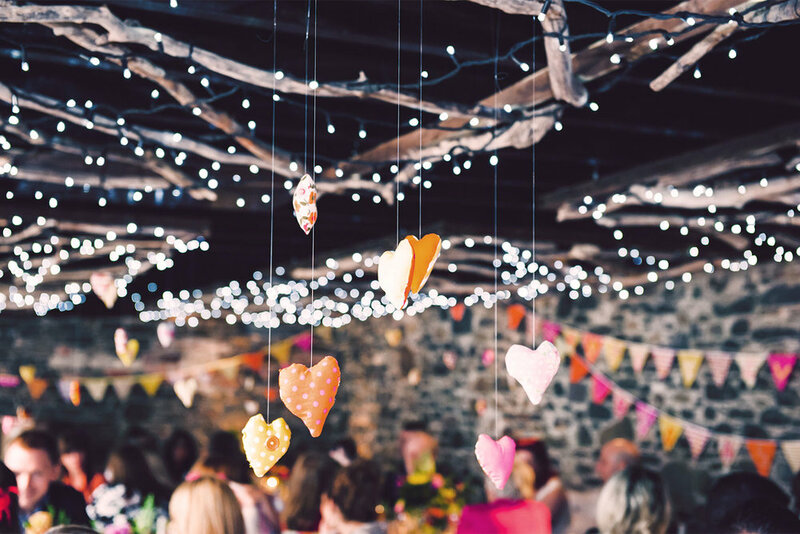 Are you looking for a relaxed, laid-back wedding party with just your closest family and friends? Somewhere where your celebrations can extend over a few days rather than be one day that goes by in a flash? At Aikwood Tower that’s exactly how your wedding will be. You hire our sumptuous, cosy castle exclusively for a week or weekend and make it your home from home, creating the perfect intimate wedding atmosphere for all your guests. Having had a busy month meeting lots of newly engaged couples and talking to them about their wedding ideas, we wanted to share some thoughts on what makes Aikwood such a special wedding venue.